Ancient... enigmatic.... colorful.... complex.... all of these words describe the Clans of Scotland which are part of this country's compelling historical journey. 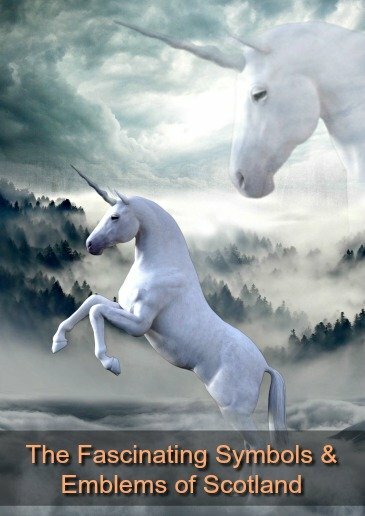 Our website focuses on the magical, mystical, fascinating, charismatic and enchantingly extraordinary elements of this unique and tiny country. The intriguing Scottish clan system plays a big role in Scottish culture and tradition and has it's roots in the ancient Celtic tribal system. So it fits in perfectly! .... including a family group, a political system, and a means of defending territory and ensuring survival in harsh conditions and difficult times. It's as hardy and resilient as the Scottish people themselves and has survived (and thrived) throughout centuries littered with bloody battles, as well as many attempts to destroy them. Today, Scots around the world are still committed to their clan heritage and fiercely proud of it too. In fact with today's growing interest in genealogy, heritage and history, you could say that clans are seeing a 'revival' of their own. The Scottish clan system seems to have been pretty well established by the 11th and 12th century, but signs of their existence go back as far as the 6th century. The word 'clan' comes from the Gaelic word 'clann', which meant 'family, offspring, children' and that's basically what they still represent, large family groups. The original clans of Scotland were basically extended family groups, the majority of members were related by blood and descended from a common ancestor. They also contained a number of 'Septs', which were families who didn't have direct blood ties to the Clan Chief (or Chieftain) but were still associated with it. Often these Septs wielded a certain amount of clan power themselves. Other individuals sometimes joined a clan to show their support or to seek protection or simply to stay alive. In the beginning clan names were usually tied to specific areas, known as 'clan territories', they were created to bond residents of that area and to protect it from being invaded or stolen by other groups. North of mainland Scotland lies the The Shetland Isles and the Orkney Isles. These were part of Norway until the mid 15th century when they were 'gifted' to Scotland. They never adopted the clan system, or many of the other traditional Scottish cultural traditions such as kilts or bagpipes. Plus, that type of landscape also helped when it came to setting up defenses to protect individual territories. Each individual Scottish clan was tightly bound together, by blood and by loyalties, and they tended to develop their own very specific customs, traditions and laws. Loyalty and devotion ran deep, and feuds with rival clans were often passed down through the generations - the ill-will refusing to diminish over time. 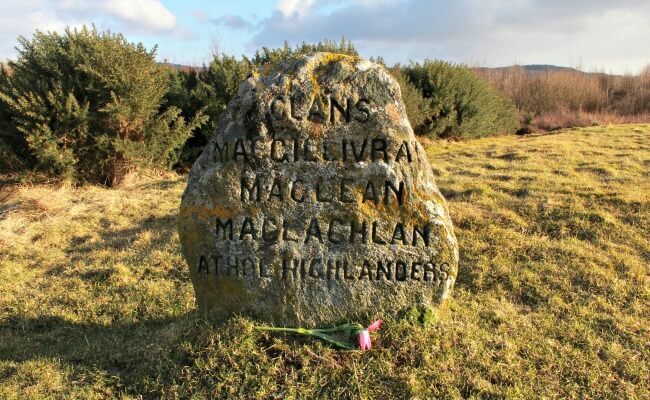 Many bloody battles were fought over clan territories, and there was generally no love lost between the Highland clans of Scotland and the Lowland clans or septs. By the 1800's they were under attack in the form of increasing pressure from the English monarchy and British Government. 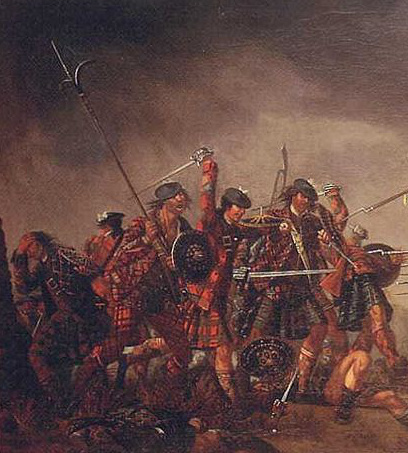 In 1746 a Scottish rebellion was defeated at the Battle of Culloden, and the Scottish clan system was almost destroyed. However, the Scots are nothing if not determined and hardy, and they clung to their traditions and beliefs and in the 19th Century they saw the popularity of their clans begin to see a revival. Since then a growing interest in Scottish history & culture has people across the world wanting to learn more about their Celtic ancestry and roots. Overall, the clans have played a huge role in shaping the culture, traditions, attitudes and sentiments of the Scottish people. When we think of a family we tend to think of blood-relatives, but of course there are relatives by marriage ('in-laws'), and close friends who we consider to be family. Clans work in a similar way, with each one being led by a Clan Chief (or Chieftain) whose family would usually lived in their own ancestral castle. Each clan had their own fiercely-guarded territory or land, and was ruled by the powerful Chieftain who controlled just about every aspect of daily life. But historically, these are much more than family groups, in fact for centuries this was the main political system in Scotland. Membership passes down through the male side of the family (patriarchal). It's centered around the man's last name, so once a woman marries she becomes part of her husband's clan - while the rest of her birth family remain members of her father's clan. Also, it wasn't unusual for the Clan Chief's children to be raised by a maternal uncle and his family in a different clan. Both of these practices helped build ties between clans which paid off during times of trouble or attack. There's strength in numbers, and friendly clans would join together to protect land, cattle and other resources. Today, the distinctive Scottish tartan (if you're American, think 'plaid') is closely tied to the clan system, but this wasn't always the case. Tartan comes in an almost endless variety of colors and patterns (although all feature the interlocking horizontal and vertical lines). There are five hundred different tartan designs which have been woven over the centuries. 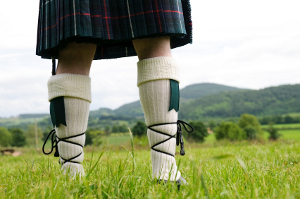 Each clan will have at least one tartan that is unique to them, but many clans have several different tartan patterns. Clans Donald (or MacDonald) Stewart and MacFarlane are all examples of this. Just for fun, here are a few examples of this sturdy, colorful fabric.... FYI the Cawdor Campbell tartan is our clan tartan! The earliest fabrics were often woven out of one, or two, colors and the link between color, fabric and design had more to do with the natural resources in a certain region, and the craftsmanship of the local weavers, than to anything else. The relationship between a particular tartan and an individual clan began in the late 1700's when it began to be adopted as a clan symbol, and wearing your 'clan tartan' became a matter of pride. Kilts themselves were seen as early as the 1500's as a form of highland dress - although they looked quite different from today's version. Scotland has a population of around 5,295,000 (estimated figure from the official 2011 census), but there are an enormous number of people around the world who have Scottish ancestors... anywhere between 45 and 85 million of them! Today, a clan is a legally recognized group in Scotland, and it has a 'corporate identity' by law (the same way a business or company has). Get serious about finding your Scottish ancestors! Then we recommend a visit to the ScotsFamily website. They offer a professional and complete Ancestor Search Service. Under Scottish law, a clan is recognized as the chief’s heritable property - he legally owns it and is responsible for its administration and development. Those of us who are of Scottish descent, whether we live in Glasgow, Melbourne or Oklahoma, are proud of our heritage. If you have Scottish ancestors, you may want to learn more about the clans of Scotland, and to find out whether or not you belong to one..... unfortunately it's not always easy to get to the truth of the matter! Although certain Scottish surnames (last names) are traditionally associated with a certain clans, just having the correct name alone is no guarantee that you 'belong'. .....today anyone with the Chiefs' surname is considered a member of the clan. Even if you don't have the 'right' name, if you offer allegiance to a Chief, then you can be considered a member of his clan. In both these situations though, it's entirely up to the Clan Chief to decide whether he accepts you or not! The clans of Scotland have survived for centuries and although belonging to a clan today is quite a different experience to the one you may have had 300 or 400 years ago, many of the traditional values and feelings are the same. That's another example of the enduring magic of Scotland!